The Womens Radius Jacket 2.0 from Eider combines style and comfort with its flattering cut, angular stitching, and soft fabric. 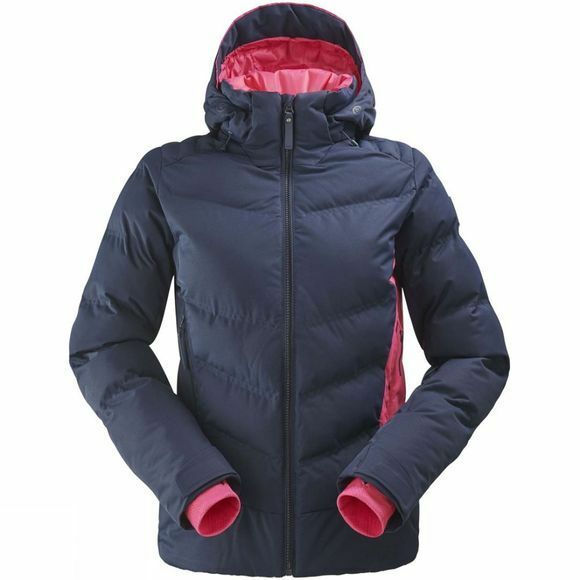 The stylish jacket combines body mapped insulation and angled quilting to provide warmth without bulk, ideal for lady skiers who tend to run cold. The “regular” cut allows for room to layer, and the detachable hood allows you to mix it up depending on the weather. Waterproof and breathable membrane keeps your core dry and the full list of ski features adds function for full days at the resort.